Despite having a fear of heights, I strangely enough really enjoy going on rooftops, as they offer amazing views of the city below. So imagine my excitement when I found out that some buildings have ice skating rinks on their roofs! Festive fun + up high skyline views = a fantastic way to spend an afternoon or evening during the holiday season. Read on to find out more about some of these sky high rinks. Perched on Ponce, The Roof at Ponce City Market boasts of breathtaking views of Atlanta’s skyline. I can absolutely attest to this, as I was married on the PCM rooftop 10 stories up. [What? You didn’t think an elf would have a destination wedding away from the North Pole?] Enjoy skating in this winter wonderland that includes seasonal treats, warming drinks such as hot toddies, and festive decor. After you’re finished skating, you could walk over to Skyline Park for skee ball and other games or 9 Mile Station, PCM’s rooftop beer garden with fire pits and fabulous food. Hours: Varies by day. Click here for details. 21+ after 5pm on Fridays and Saturdays. The first rooftop ice skating surface in London, Skylight sits atop of a 200-year-old building from which you can see The Shard and The Gherkin. 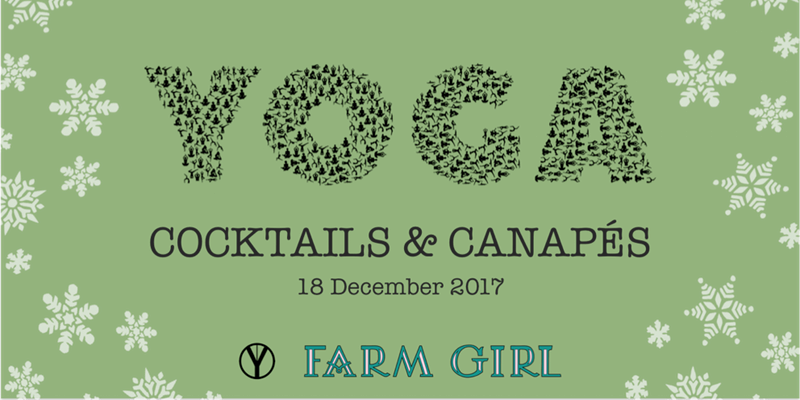 This would be a great spot for a date, as they offer wintery drinks, such as spice espresso martinis, mulled wine, and mulled cider. If that weren’t enough, they also have cheese fondue, chocolate fondue, mince pies, and Greek fusion food, including a Christmas burger and halloumi fries. Since admission is free, you could go to Skylight to simply enjoy the views and the food before they close for the season on 13 January 2018. Hours: Open Thursday–Sunday. Hours vary by day. Click here for details. 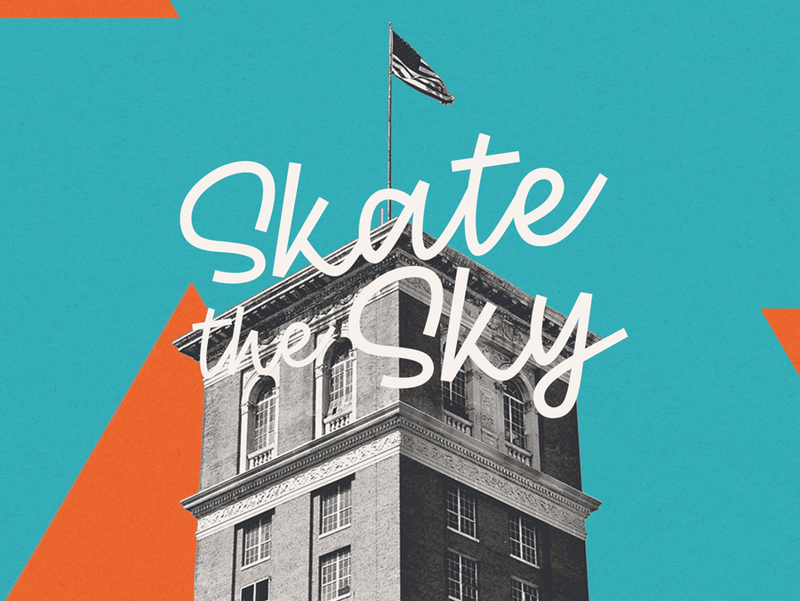 Head to Whole Food Market’s flagship store in downtown Austin to skate on the roof between now and 15 January 2018. An Austin holiday tradition for the last 13 years, more than 16,000 folks visit the ice rink each year. If you get hungry or thirsty while skating, grab a drink or snack at the rink-side concession stand. 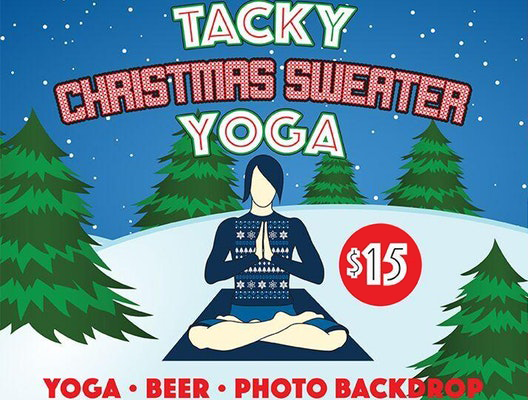 Or you could pop into Whole Foods to do some shopping after getting in some wintery exercise. 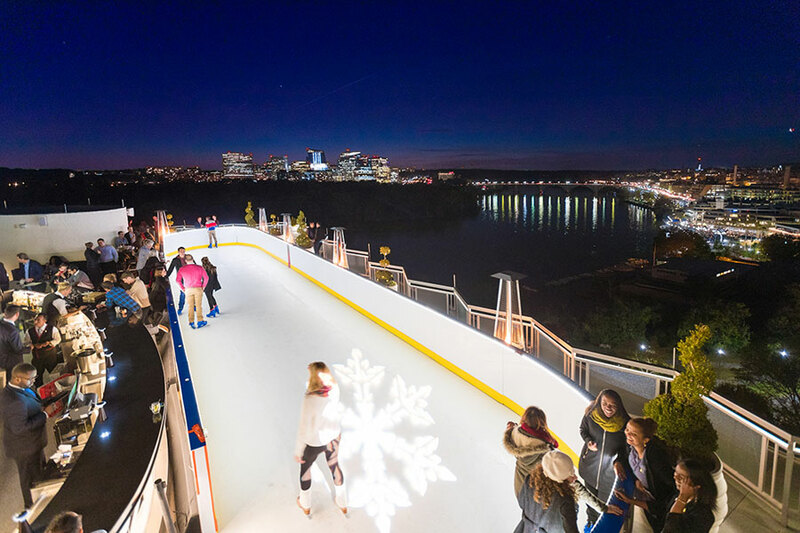 Top of the Skate • Washington, D.C.
With 360-degree views of the Potomac River, the Key and Arlington bridges, the Washington Monument, and the D.C. skyline, the roof of the Watergate Hotel is a sought-after destination for post-work drinks and date nights. For winter they have added a ice rink, along with warm cocktails like spiked hot chocolate and mulled wine, as well as toasty snacks such as soft pretzels and s’mores. If you want even more of a festive experience, book one of the Watergate’s cozy winter igloos. Hours: Open Wednesday–Sunday. Hours vary by day. Click here for details. 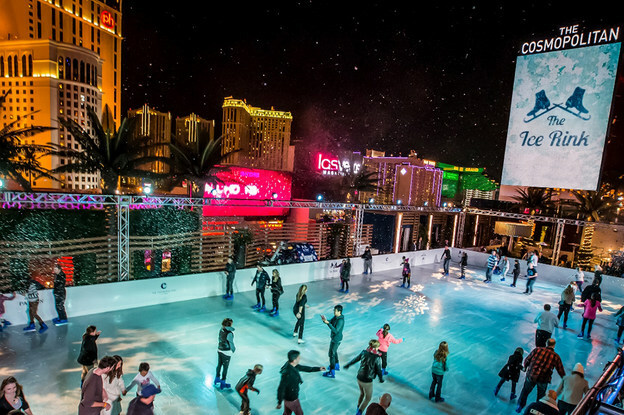 High above the Las Vegas Strip, The Ice Rink at The Cosmopolitan has everything: 4,200 square feet of real ice, s’mores, fire pits, twinkling lights, festive drinks, hearty food, and light snow showers. What’s more, on Mondays, they play holiday movies on their 65-foot digital marquee. Upcoming films include The Santa Clause and The Santa Claus 3: The Escape Clause on the 18th, Mickey’s Magical Christmas and How the Grinch Stole Christmas on Christmas Day, and Frozen and The Polar Express on New Year’s Day. Hours: Varies by day. Click here for details. Probably because I don’t speak Russian, I was unable to find much information about BMW Rink 354, but I just had to share some photos and a video of this rink, as it’s on the 86th floor of Moscow City OKO Tower. That’s 354 meters up! Offering an unobstructed panorama of Moscow, I’m sure the highest rink in Europe is really neat, but personally, I don’t think I could ever skate there because I’m so scared of heights. Check it out! If you recall my posts about Christmas tree lightings and holiday boat parades, you may have gathered that I’m quite fond of Christmas light displays. Simply looking at some glowing, twinkling lights gets me feeling the warm fuzzies of Christmas. I also love all things nature: trees, plants, flowers, you name it. So, what do you get when you mash these two interests together? A gorgeous, glowing garden extravaganza! If you’re like me, you’ll enjoy immersing yourself in a spectacular holiday light experience at a botanical garden this winter. 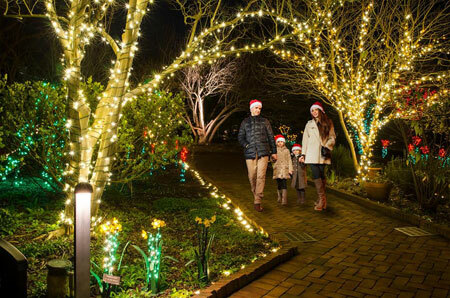 Garden Lights have returned to the Atlanta Botanical Garden for the sixth year. Among the various light displays, you’ll enjoy walking through the Tunnel of Light and watching the Orchestral Orbs. If you plan on visiting the garden with your kids, nieces, or nephews, make sure you check out the model train. The holiday light exhibit will be on display until January 7, 2017. Click here for tickets and here for transportation info for the Atlanta Botanical Garden. Located just outside of Charlotte in Belmont, the plethora of holiday happenings at the Daniel Stowe Botanical Garden will give everyone in your family a boost of Christmas cheer. More than 600,000 lights illuminate the gorgeous grounds, transforming trees and fountains into a twinkling wonderland. Some other festive activities include horse-drawn carriage rides, marshmallow roasting, live holiday music, and a visit with Santa and Mrs. Claus. Click here for tickets and here to see the live music and food truck schedule at the Daniel Stowe Botanical Garden. If you’re in Wilmington, DE or Philadelphia, celebrate the holidays at Longwood Gardens with enjoyable activities both indoors and outside. As you walk the grounds, your senses will be engulfed with sights and sounds of the season, such as twinkling lights illuminating the night sky, songs of strolling carolers filling the air, and tunes from daily organ performances. If you start feel chilly, simply stop by a fire pit to warm up! Click here for tickets to Longwood Gardens. Garden Glow has decked out the Missouri Botanical Garden with millions of Christmas lights that will be on display until January 1, 2017. As you stroll through the garden, there are several spots for you to stop and strike a pose with your loved ones for a festive photo. To get a glimpse of the dazzling lights, watch the video above. Click here for tickets to Garden Glow. 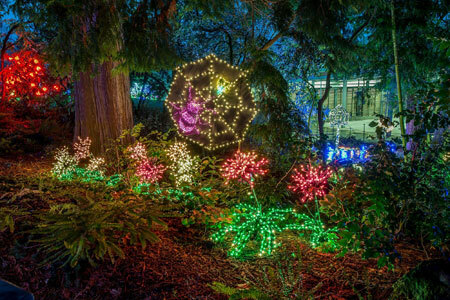 As the holidays approach every year, Bellevue Botanical Garden transforms into a colorful and magical wonderland. Critters are hidden throughout the grounds of this garden, so children will have fun spotting them among the lights. (For example, see Charlotte’s Web in the image above.) Garden d’Lights is on display until December 31, so make plans to visit before it closes for the season. 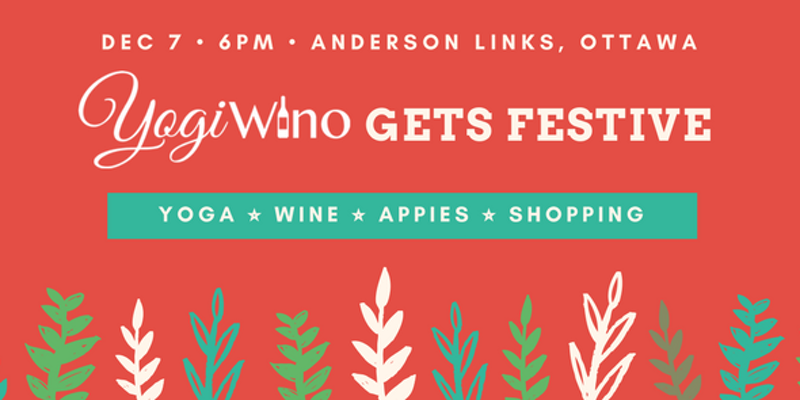 Click here for tickets and here for transportation info for Garden d’Lights. A holiday activity that will leave the young and young at heart filled with awe is a trip to see a model train display. At first sight, it’s quite impressive to see the trains, buildings, and various miniatures. Then when you consider how many hours it takes to construct each set and the skill required to wire the circuits, it’s really amazing. I’ve rounded up a handful of train displays for you to visit, and since words cannot adequately convey how grand these various exhibits are, there are videos for you to enjoy! EnterTRAINment Junction is home to a humongous model train display and other interactive activities for children. After oohing and aahing over the life-like trains, structures, and landscapes, kids can head over to Imagination Junction and play. You might even get to say “Hi” to Santa and Mrs. Claus while you’re there. EnterTRAINment Junction is open year-round, but the holiday fun will end on January 1st. Click here to purchase tickets and here for EnterTRAINment Junction’s hours of operation. Click here the Choo Choo Barn’s rates and hours of operation. The holiday trains at Homestead Gardens are a Christmas tradition that locals eagerly anticipate every year. Whether you want to share the experience with your out-of-town guests or pass the tradition on to your children, your trip to Homestead Gardens will be a memory you’ll cherish for years to come. The trains are set up in the Davidsonville store and will continue to be on display through the end of December. Click here for Homestead Gardens’ hours of operation. If you live near Blackstone, Virginia, then you’ll want to head over to Bevell’s Hardware to marvel at their holiday train display. Admission is free, so this Christmas outing is budget friendly! The trains will be rolling away for the season soon, so make sure you visit before January 8, 2017. Click here for the hours of operation of Bevell’s Hardware. With over 1,000 trains, 9 miles of track, and 250,000 figurines, it’s no wonder why this fascinating exhibit attracts more than one million people each year. Miniatur Wunderland is the largest model railway in the world and is still growing. The exhibit currently has 9 completed sections that include: Italy, Scandinavia, USA, Middle Germany, and more! In the video above, you’ll get a glimpse of the marvelous model displays, but it doesn’t do justice to how amazing Miniature Wunderland is. Something this spectacular necessitates a visit! If you’re unable to go to Miniatur Wunderland this year, click here to enjoy another video. Click here for tickets and here for Miniatur Wunderland’s hours of operation.